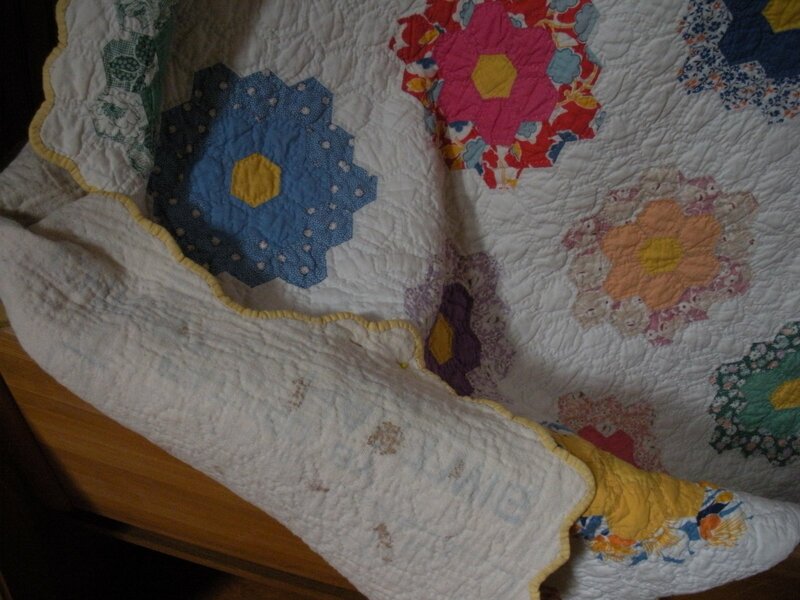 Apparently in his eyes, the quilt that kept her and her husband or her children warm on a cold Ohio night wasn’t considered beautiful, nor was it useful. Many of them are much more favorable than that and often tout the stitching prowess of the very young (8-9 years old) or the very old (80 years plus!) I love when they counted everything, like this one, because it reminds me of notes left behind by my grandparents noting details and counts of mundane daily facts. “Miss Eliza Kidd, of Keene, KY, is only twenty years of age, but has immortalized herself by finishing a crazy quilt containing 58,841 pieces, 562,897 stitches, 21 spools of threads abd 30 yards of cloth.” –from the Defiance (Ohio) Democrat, January 1, 1885. “The girl with soft gray eyes and rippling brown hair who walked all over your poor fluttering heart at the charity ball, has just finished a crazy quilt containing 1,064 pieces of neckties and hat-linings, put together with 21,390 stitches. And her poor old father fastens on his suspenders with a long nail, a piece of twine, a sharp stick, and one regularly ordained button.” HA! Just reading her list of finishes makes me feel like I want a nap! 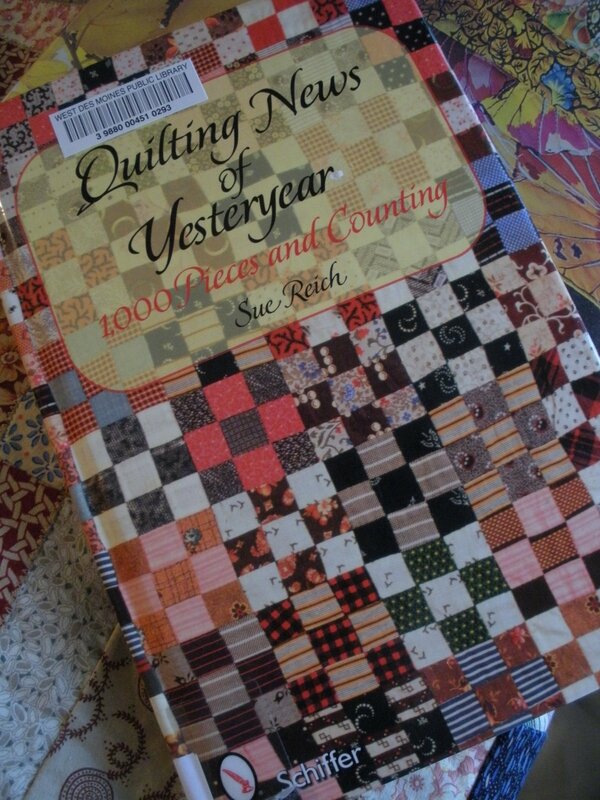 This is a book I recommend any quilt admirer and history buff track down. 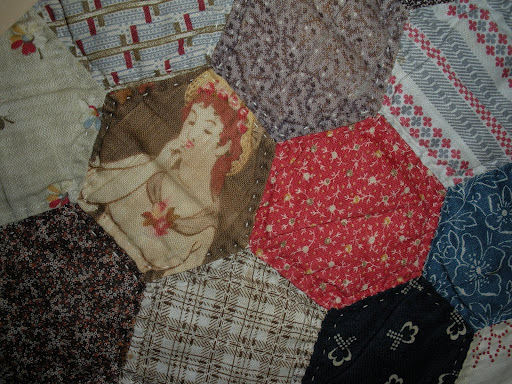 It is a very quick read, extremely insightful and entertaining, and the photos of vintage quilts are truly inspiring! So…have you ever counted the number of pieces in any of your quilts? Wow, what an interesting book! 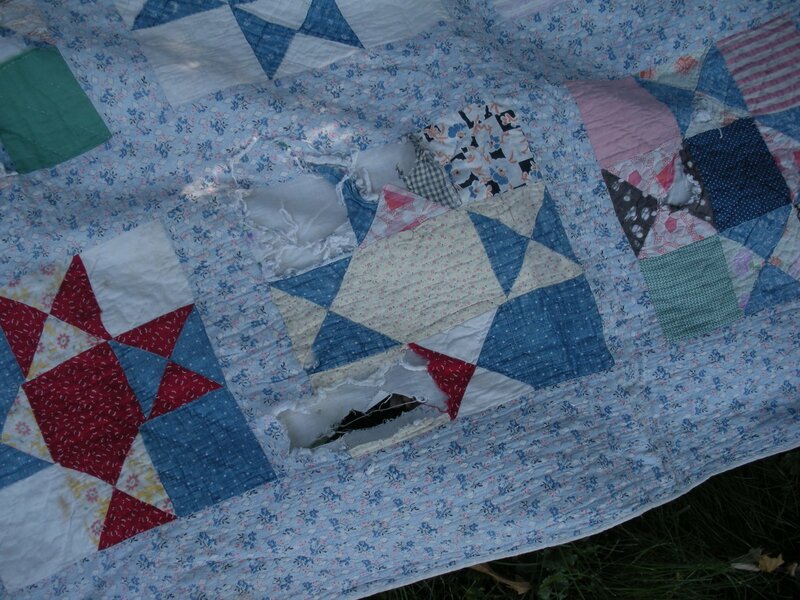 I never thought about it but just imagine how many pieces and stitches are actually in some of our quilts. Never worthless nonsense! I had to count out how many squares I’m making for this next quilt. Over 2000!! No…I have never counted pieces OR stitches. That is amazing. so funny you wrote about this…i’m counting the pieces in my selvage quilt…don’t know why i started…i was simply curious about it. reading about that last woman makes me feel pretty much like a slacker.